CLEVELAND — A 55-year-old woman was taken to the hospital with minor injuries after a crash Thursday morning. 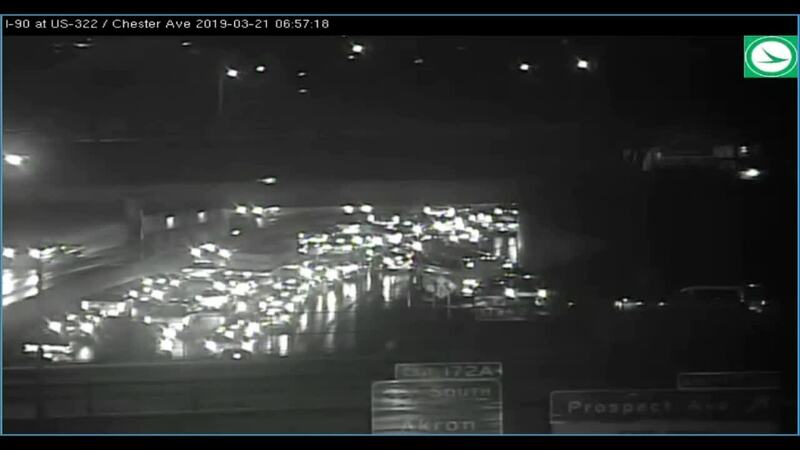 The crash happened on I-90 westbound between Prospect Avenue and I-77, causing heavy delays for morning commuters. The woman was taken to St. Vincent Charity Hospital for treatment. Traffic is stop and go back to Dead Man's Curve.